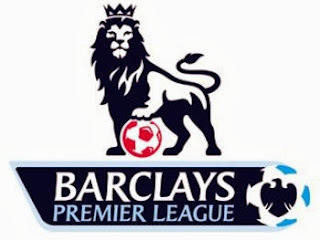 The best website to buy premier league tickets: Barclays is one of the multinational banking and financial company which came into existence in 1690 with the aim of providing banking and financial services. They carried their operation in more than 50 countries and almost 48 million customers are connected with the company. Here we talk about how to win premiership tickets in Barclays football tickets competition. It has its headquartered in London, United Kingdom. They have a number of different financial products which includes retail banking, commercial banking, investment banking, and investment management services. It has market Capitalizations of approximately £21.8 billion. They keep on updating their services in order to satisfy their customer group and also with time to time they spend a lot of promotional activities. They have arranged one activity for all football lovers in which anyone can get the chance to win football ticket on-line. It is not necessary to be Barclay's account holder but anyone can take part in this activity. For the same, you don’t need to pay anything or you don’t need to pay any fees, you just have to provide your email address and need to visit its website and by providing this detail you can easily get the chance to win the football ticket easily. So don’t waste your time and just try your luck and win Barclays football ticket by following few easy steps. It is very easy and simple to win the tickets for Barclay’s football as for the same you just need to have a computer or any other electronic device with an internet connection from where you can access its website. In the middle of the web page click the picture having two doors and once you have clicked, you will get a code which you have to write on the right side of the page and then below provide your email address, favorite team, security code which is there on the screen. Now follow the given instruction there in order to complete the procedure. You can get the chance to win once per household and per individual per month.